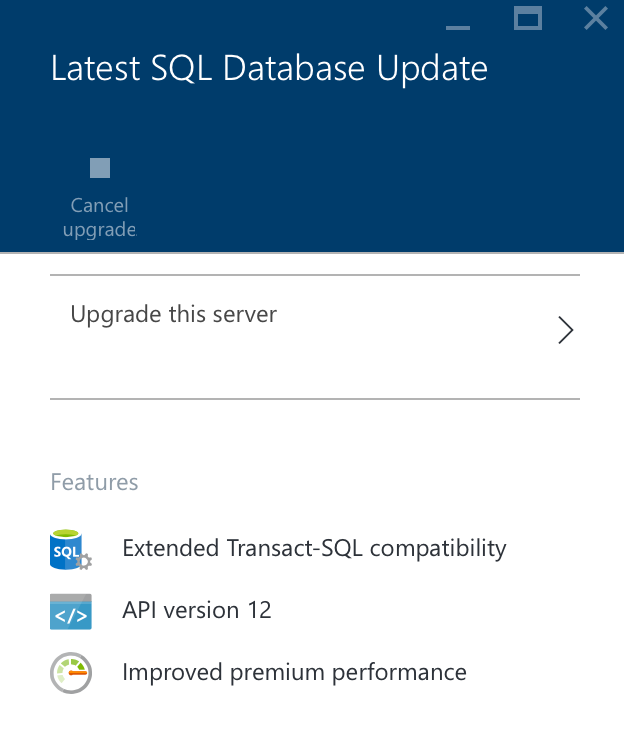 The Azure SQL Server for centralised database was stil version 11. 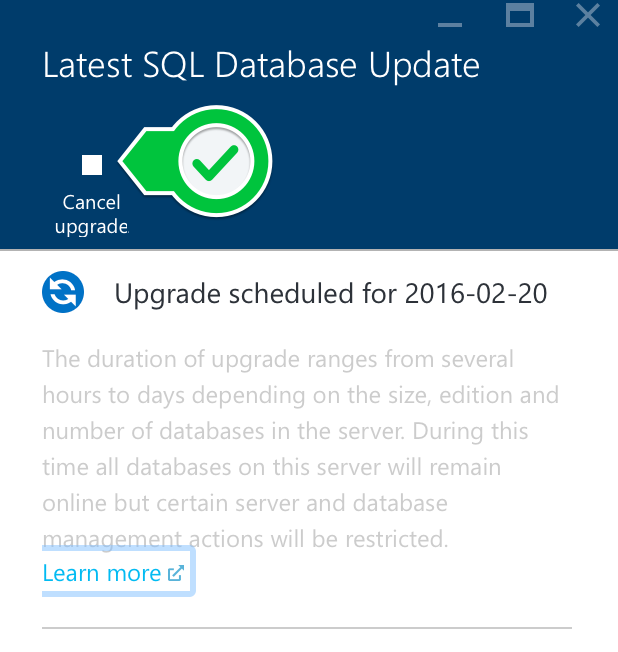 In an e-mail last week Microsoft notified me for the planned upgrade to version 12. 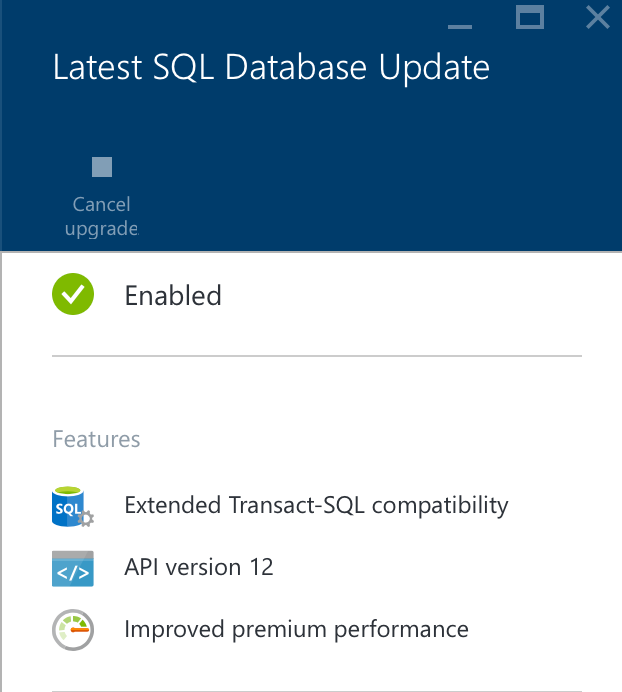 We’ll be upgrading your Azure SQL Database servers to the latest SQL Database Update (V12). In the portal I could see that the upgrade was scheduled. The date was over a month away and would be in the middle of a sprint. Since the product owner wanted to be on the latest version the upgrade was scheduled in the current sprint. The proof of the pudding … Our WPF application worked without any modification. Even the connection string remained unchanged. First Backlog item completed.